Not Just an Easy to Measure Spectrum. A Better Experience and Confidence. The flicker sensor of the new, high-resolution of CMOS linear sensor on spectrometer MK350N PLUS may be the first thing you notice. But what you experience is so much more. With new cali-II system for more accurate colors, and an improved cosine correction technology, these are the most advanced experiences we've ever made. You'll Have Just What You Need Spectrometer MK350N PLUS, at MK350 bases, adds new commercial light health care: flicker percentage measuring function. 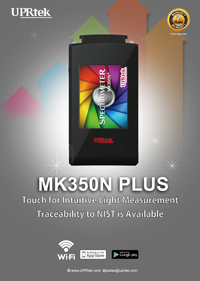 MK350N PLUS is a meter with more enhanced and advanced measuring functions and indexes. From the first light coming through the diffraction grating to the digital counting center, every detail will be carefully considered to enhance your experience. There are many limitations on humankind's eyesight, let MK350N PLUS keeps an eye on the lights you see to determine what your eyes really need. Don't tell me that you don't care your eyes. They are so beautiful. Your eyes are really the window to your soul. We do care about the right light for your eyes and health. 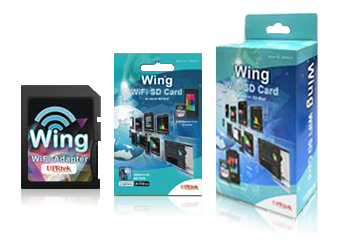 To prevent the damage from flickering light and UV light. You need a spectrometer MK350N PLUS to help you. Welcome to the "High-Tech Strategy, Industry 4.0", the collective term for technologies and concepts of value chain. It's the market time that counts. 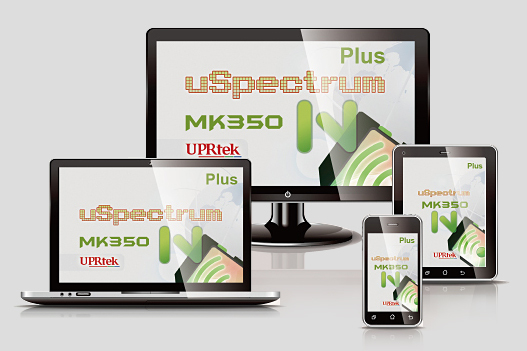 Spectrometers MK350 series support scalable connectivity up to 16 units' line which will save cost up to half million dollars. Get a Head Start on Lighting Spectrometer MK350N PLUS not only simply shows basic spectrum but also expands your operations to efficiently manage your optical of LED luminaries which helps you get high confidence with those data you are accumulating. All New Generation on the Spectrometer MK350N PLUS Free APP of spectrometer MK350N PLUS. Mobile and easy to share information at any place where ambiance is important, you'll have just what you need, and you didn't know what you needed, and more than you'll ever need. You're just in the time for a new wave in advanced optical light measuring technology. The MK350N PLUS is a lightweight, portable, easy-to-operate spectrometer with WiFi remote control operations and SD card data storage. This product has basic features for fast, easy lighting readings, as well as advanced light analytics, and efficient work-flow features for lighting production environments. 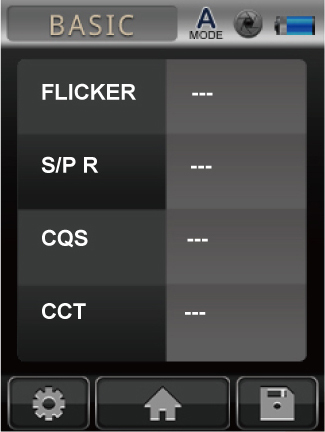 Beyond MK350N, this App include CQS, S/P, TLCI and CRI (R1-R15). User can also customize basic list with different measurement terms.